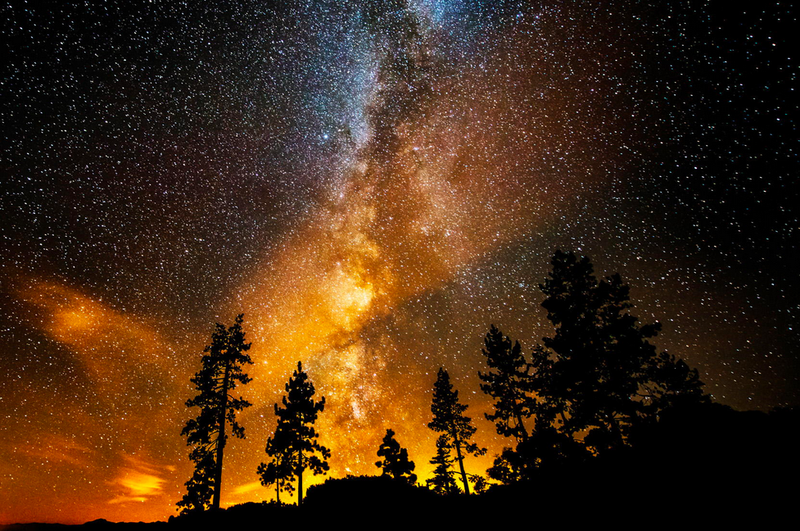 The skies over Sand Harbor in Lake Tahoe ignite with light from the city below in this dazzling image of the Milky Way, captured by photographer Bill Currier. I was pretty concerned. Most times light pollution is a killer for star photography, but on this evening the position of the trees helped block some of the lights near the horizon. The light pollution added a nice touch without blocking out the stars. And what a magnificent surprise the shot turned out to be! For more of Currier's work, check out his website and 500px profile.